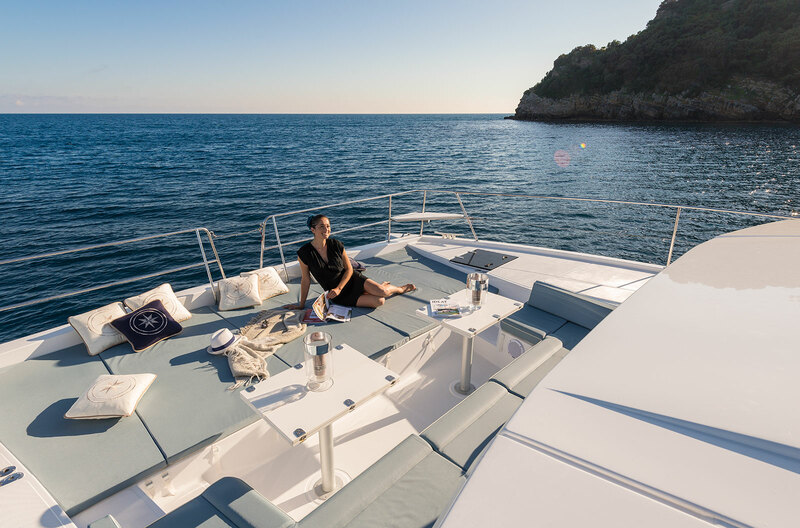 The idea to put down a few verses about BALI catamarans has appeared just recently. To be more specific, it happened this winter when I had spent some time at the base marina maintaining the fleet and preparing the yachts for wintering. As I was meeting these yachts quite frequently last season, and when I realized how many new BALI’s were purchased for the next sailing season, I decided to take a closer look at them. I must emphasize that BALI brand belongs to France’s renowned boat builder Catana. Catana catamarans have always been a synonym for huge, fast and unconventional catamarans to me. Not so often seen at the Adriatic, especially not offered for charter. 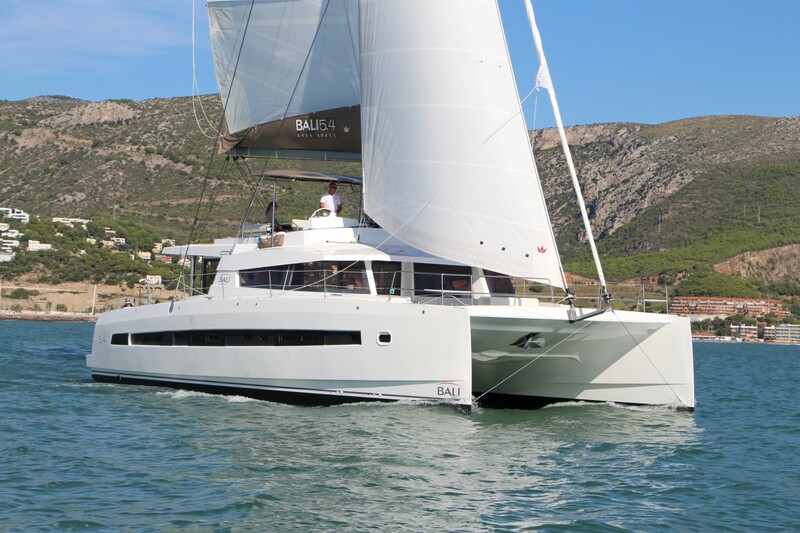 Through the course of time, Catana became offered for charter in the Croatian Adriatic, but the appearance of BALI catamarans was much more obvious due to their presence on the market. Their noticeable design includes the innovations of BALI’s design and construction team lead by Olivier Poncin. While designing the Bali concept, they included some typical features such as light weight, the design of the nacelle, the height of the freeboard, and the removal of the trampoline. The rig is removed further aft allowing larger headsail. The hulls are made by using the technology of sandwich infusion in polyester and closed-cell PVC foam, bringing significant weight savings. 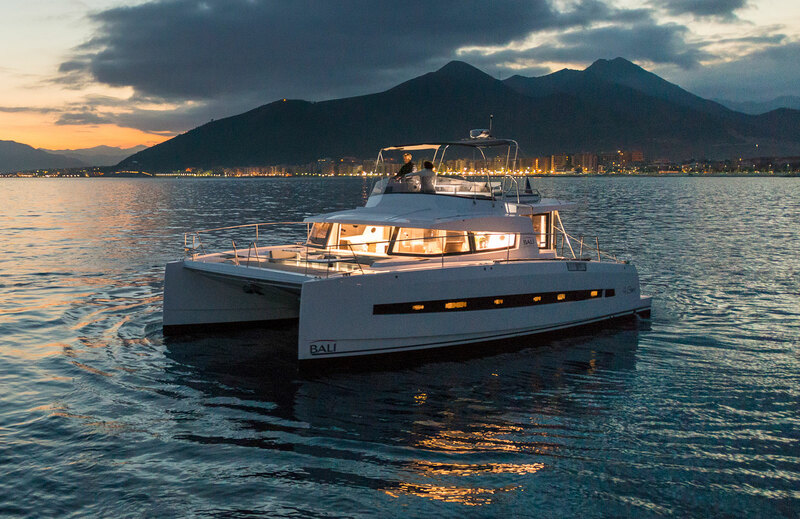 BALI catamarans’ range includes models BALI 4.0, 4.1, 4.3 and 4.5, while BALI 5.4 refers to the flagship. 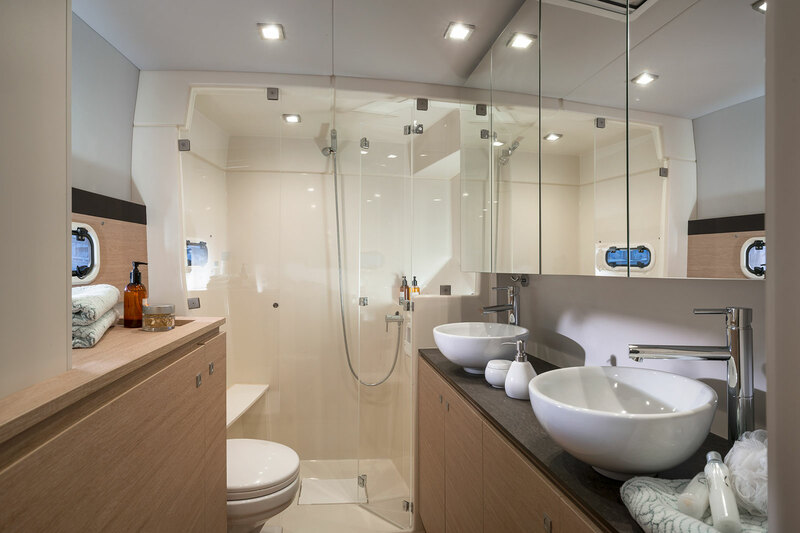 All models are available in several versions regarding the number of cabins/berths and additional equipment. Model 4.3 is made both as a sailing yacht and motor yacht. 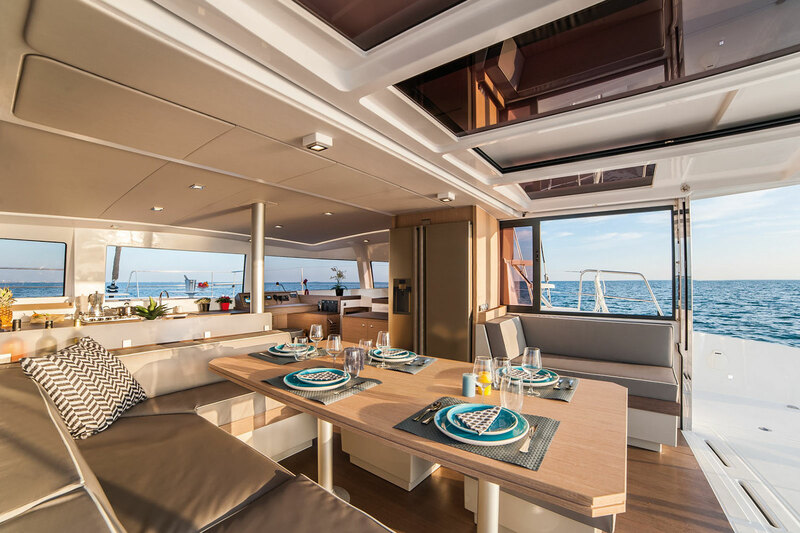 All models share features such as a forward cockpit and sunbathing area in the place of the trampoline, huge retractable windows and doors, making spacious saloon extended to the aft lounger. 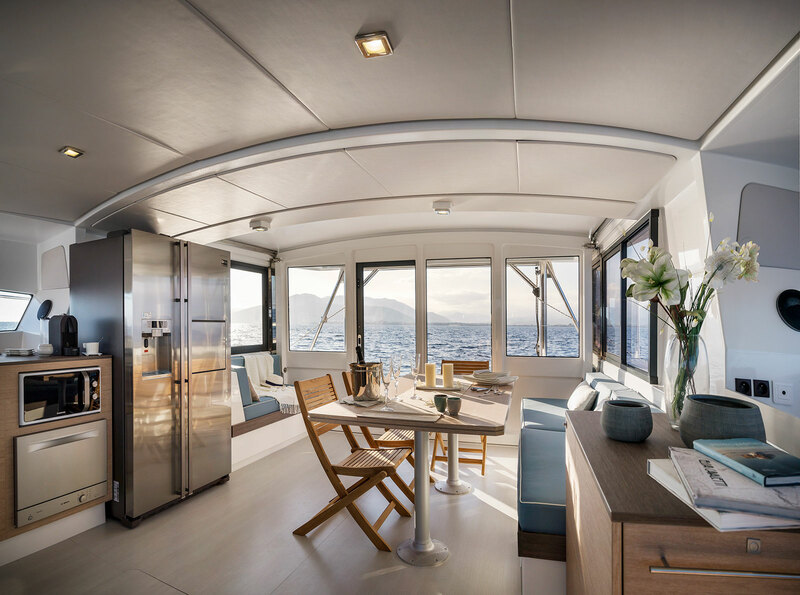 Then spacious areas free of bulkheads, large refrigerators and a high level of comfort, safety and self-efficiency due to solar panels. The flagship model 5.4, besides mentioned, has the direct access to the saloon from the enormous front cockpit. My personal remarks are addressed to relatively high helmstand, which results in a smaller mainsail area and increased amplitudes of rocking on the high seas, while the anchor winch electro-motor is extremely hard to access and difficult to replace. 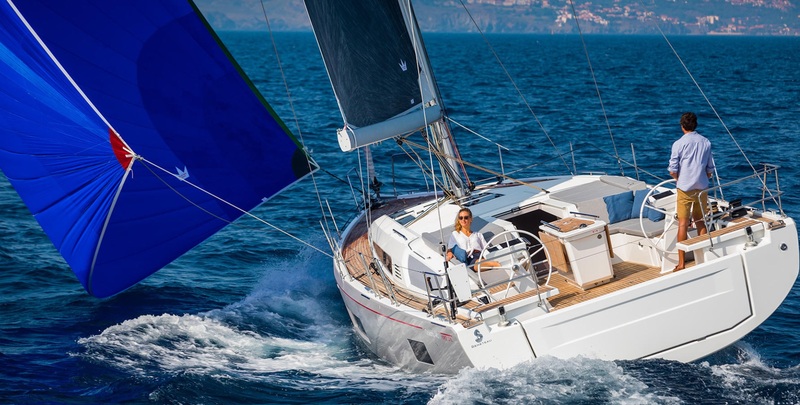 However, relatively smaller mainsail is compensated with a larger headsail, while a skippers’ should be used to rocking whatsoever. At the end of the day, guests’ comfort and pleasure should be a priority, which BALI had achieved for sure, while the maintenance is something guests should not worry about, too. The creators of BALI concept made it relatively low in price, making it more affordable to wide range of customers. 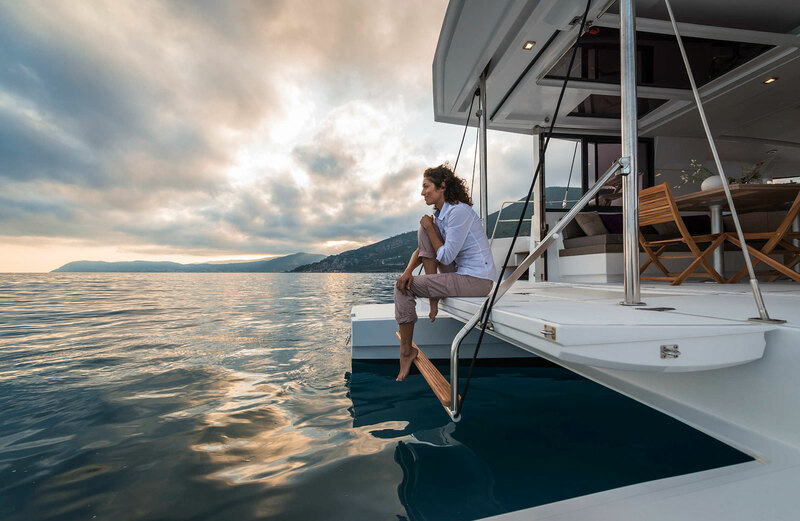 Judging by the response of the charter clients, orders for new boats from charter agencies should not be too surprising. I am so curious about the actual performance and comfort of the boat. How well does it sail, how ventilated are the cabins, the durability of the boats as they are so lightweight. I love the layout but I went with a Leopard because they provide a lot of specific information about their boats, not only elevator pitches.